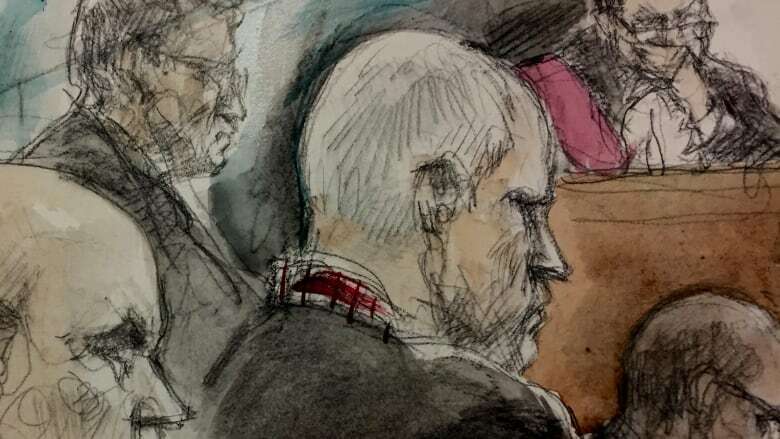 Crown lawyers argued in court Tuesday that "sexual predator" and serial killer Bruce McArthur, 67, should not be eligible for parole for 50 years. But the defence countered that on account of McArthur's age, it's unnecessary to extend parole eligibility beyond the mandatory minimum of 25 years. Crown lawyers said Tuesday that "sexual predator" and serial killer Bruce McArthur should not be eligible for parole for 50 years. Meanwhile, the defence argued that because of McArthur's age, it's unnecessary to extend parole eligibility beyond the mandatory minimum of 25 years — meaning the 67-year-old killer would be at least 91 before he could apply. If the judge sides with the Crown, McArthur will be 116 before he's eligible for parole, said defence counsel James Miglin. That sentence would be "unduly harsh," he said. Ontario Superior Court Justice John McMahon must rule on McArthur's parole eligibility, and will announce his decision on Friday. McArthur has not addressed the court during this week's sentencing hearing. He pleaded guilty to eight counts of first-degree murder last week. Crown lawyer Craig Harper argued that McArthur's guilty plea should not be considered a sufficient mitigating factor in the sentencing "when you take the enormity of McArthur's crimes" into account. The fact that McArthur revisited images and "trophies" from the killings shows a lack of shame or remorse, he argued. "There are no similar offenders to Mr. McArthur," Harper said to the court. He added that McArthur's killings stoked widespread fear in Toronto's LGBT community, forcing people to compromise how they lived their lives. 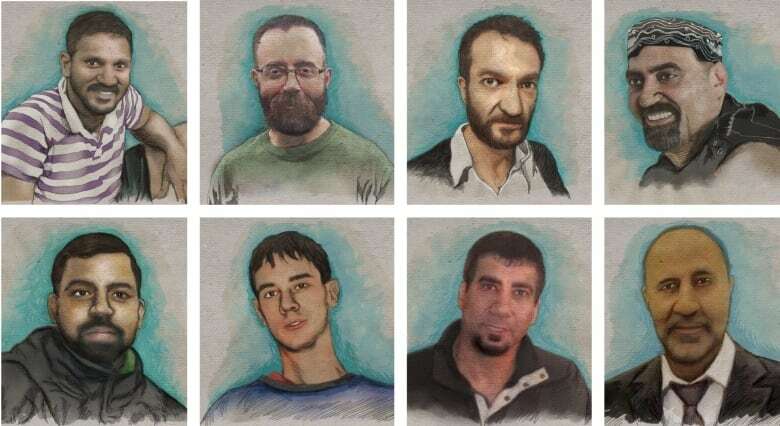 Harper said it's impossible to "quantify" the suffering McArthur's crimes have caused to the eight victims and their family and friends. The Crown also said McArthur was an "ongoing danger" up until the moment he was arrested, noting a man was found tied to his bed when police intervened. Miglin told the court that his arguments are not an attempt to diminish McArthur's crimes. "The events were horrific. The moral blameworthiness of McArthur are exceptionally high," said Miglin. McArthur's guilty plea carries an automatic life sentence, he said, so the sole issue is whether to extend his parole eligibility beyond the mandatory minimum. Miglin said that, like confessed serial killer Elizabeth Wettlaufer, McArthur's guilty plea had quickened the court proceedings, benefiting the victims' family and friends. "I think it's impossible to overstate," the public resources that were saved in McArthur pleading guilty, Miglin said. The judge acknowledged McArthur's guilty plea prevented a trial that would have been "brutal in nature." But the Crown had earlier said the judge should not consider McArthur's case similar to Wettlaufer's — who is serving eight concurrent life sentences for murder — because hers hinged on her willing confession. Nobody would have known about the ex-nurse's crimes without her confession, Harper said, while McArthur was caught because of a police investigation. Harper also said McArthur's crimes were considered a "breach of trust" because he had relationships with many of the victims, such as his decade-long friendship with Andrew Kinsman. McArthur's victims had "no reason to fear him," Harper said.